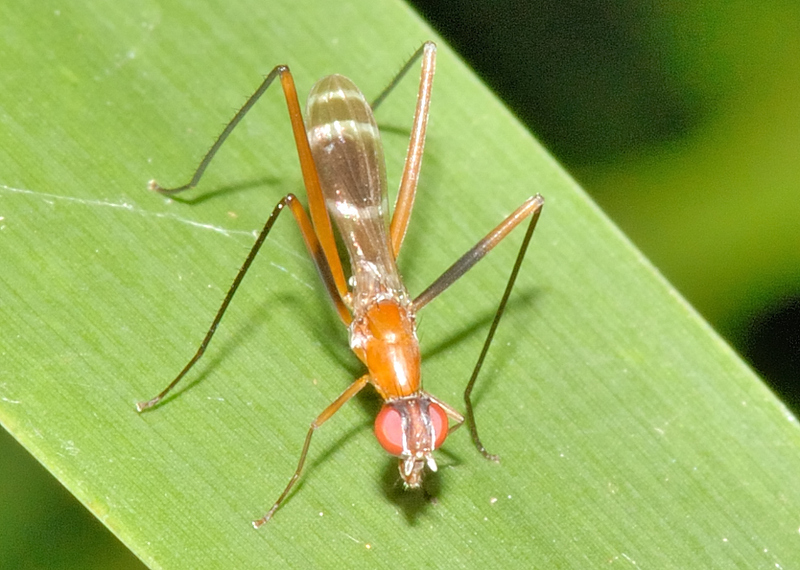 This page contains pictures and information about Orange Stilt-legged Flies that we found in the Brisbane area, Queensland, Australia. 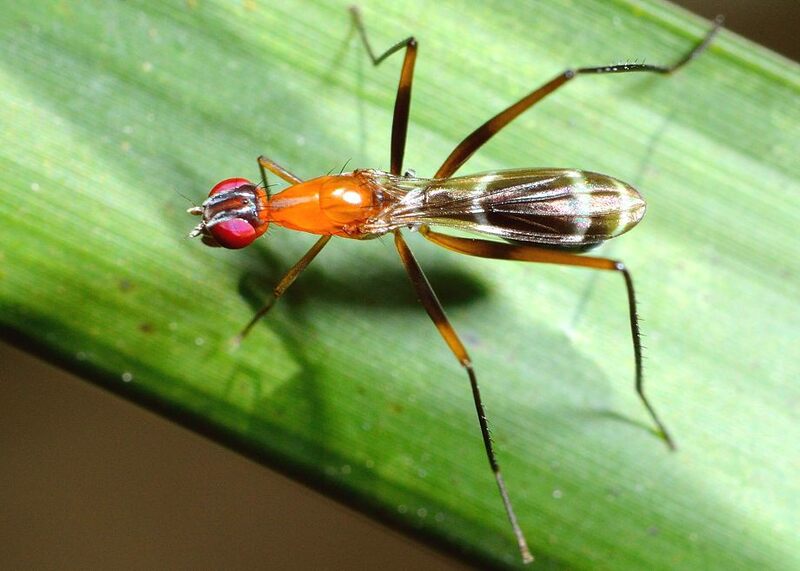 Flies in this family Micropezidae have very long legs, although the front pair is usually shorter. 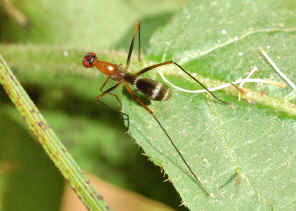 Their body is slender with patterned wings. 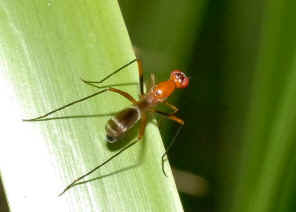 They usually mimic either wasp or ant. 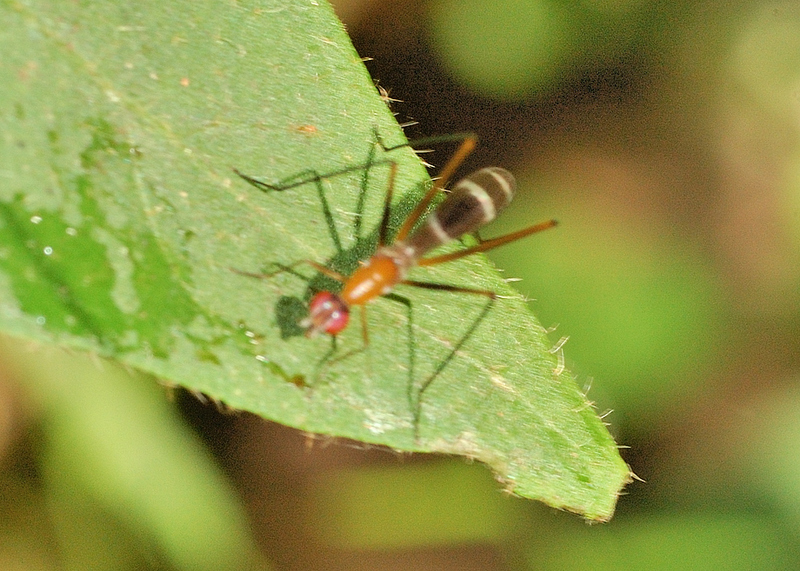 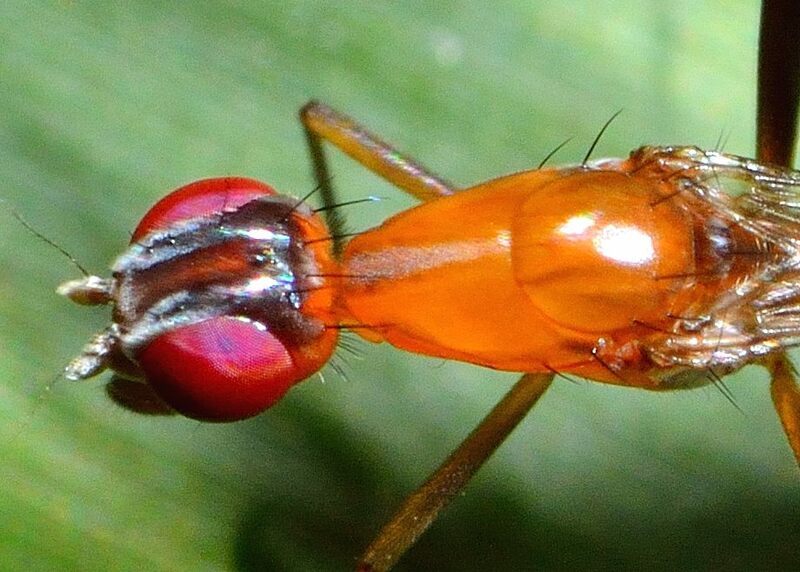 This Orange Stilt-legged Fly has a brown head and orange thorax. Legs are brown to orange brown in colours. Wings are patterned with white strips on dark brown. 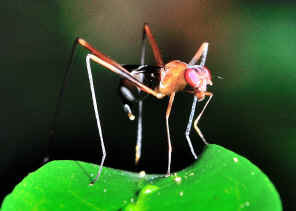 Abdomen is black to dark brown. Pictures were taken in Brisbane Koala Bushlands near Burbank on Jan 2008. 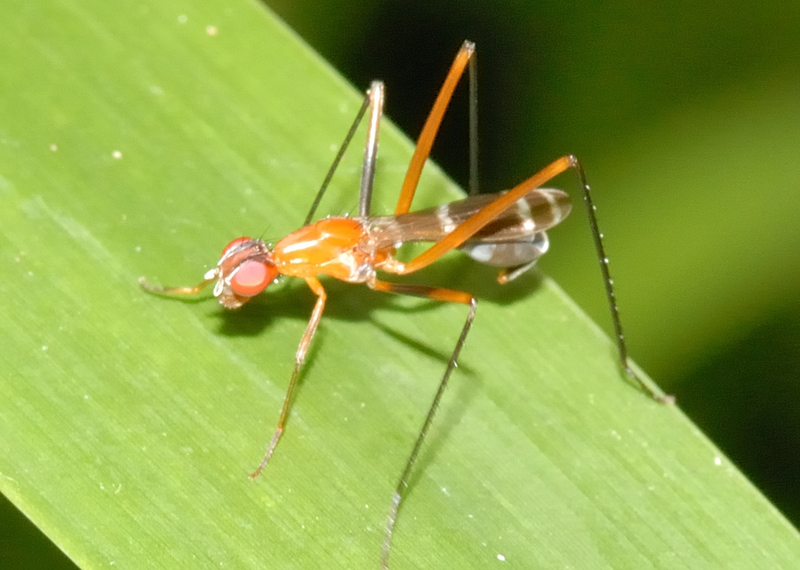 The fly was just wandering on grasses. 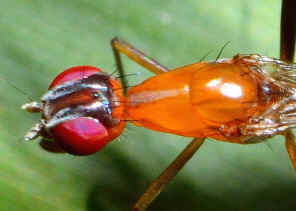 Its wing patterns look like an ant's narrow waist and abdomen. The fly walked like an ant too, sometime with jumping action. It might try to mimic the Jumper Ant. 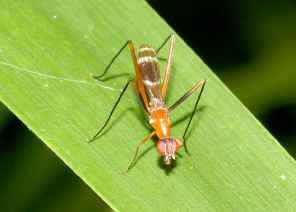 It did not fly away even with our very close disturbs. 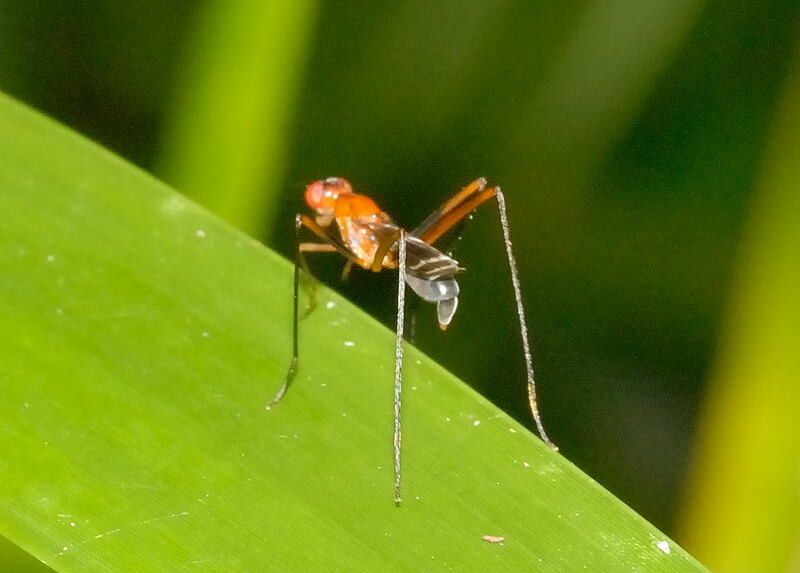 It just walked and jumped onto another plant. 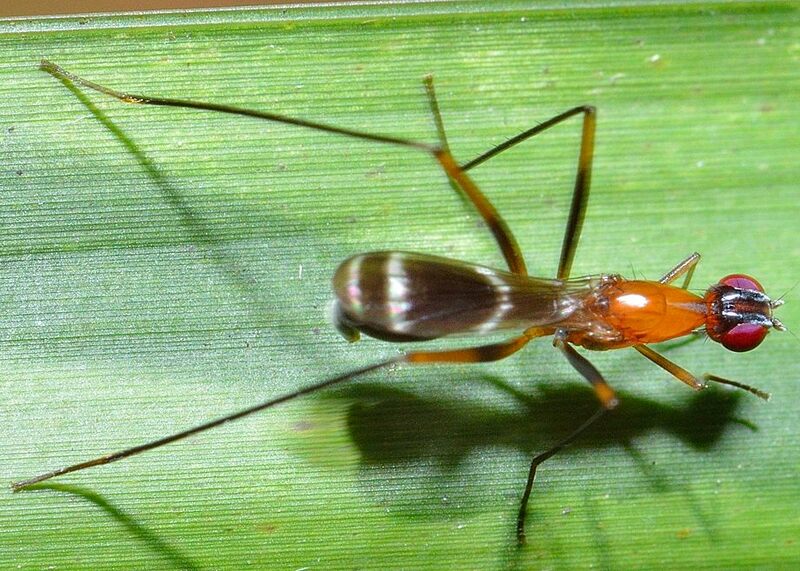 We usually found the fly walking on grass leaves. 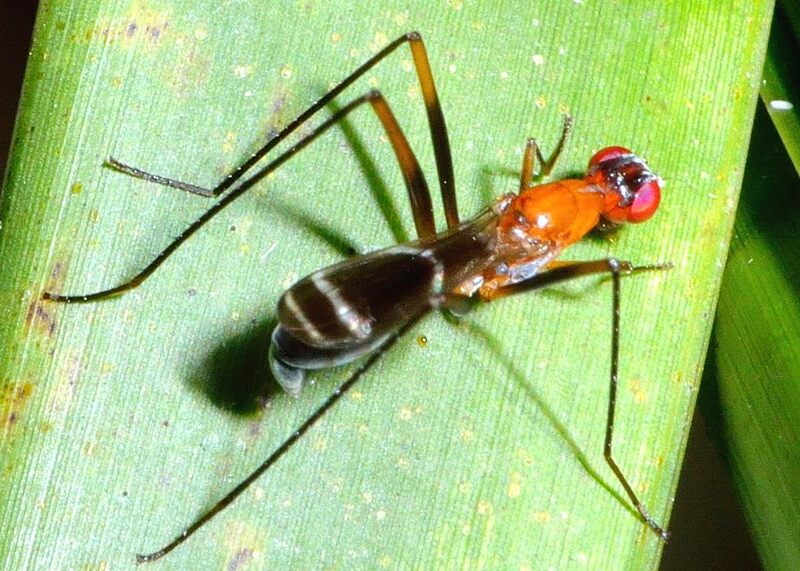 2. Review of the Australian stilt flies (Diptera : Micropezidae) with a phylogenetic analysis of the family - David K. McAlpine, 1998, Invertebrate Taxonomy 12(1) 55 - 134.